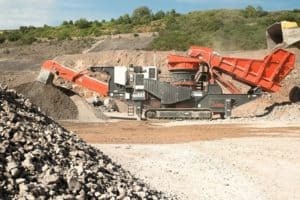 Our UH440E has been designed to meet the demands of quarry operators, construction companies or contractors working with highly abrasive materials. 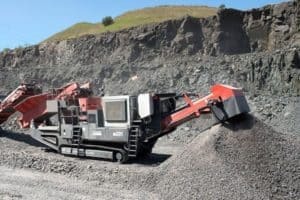 It is a highly efficient electrically powered, track-mounted complete process machine with a cone crusher and screen onboard. It is the ideal solution for your secondary and tertiary applications. The UH440E comes equipped with our high performing CH440 cone crusher that will offer you strength and reliability. It is capable of achieving excellent reduction ratios and cubicity at high capacity levels due to its advanced pre-separation system.Our UH440E incorporates a dual interlocking and intelligence system that is integrated with ASRi (automatic setting regulation system). We offer ultimate flexibility for your project with a wide choice of concaves and eccentric bush settings. 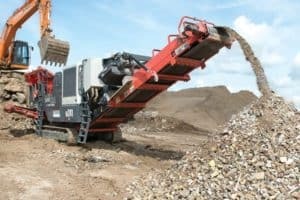 We also offer a high capacity product screen and return conveyor for enhanced product quality, to ensure we can meet your product demands.The UH440E is one of the most versatile, tracked machines on the market and has been designed to suit even the most arduous application requirements.